By pooling expertise ARCH aims to help improve healthcare for patients. But ARCH is not only for patients, it is also a platform for attending specialists and experts. The expertise platform facilitates collaboration and the exchange of information, knowledge and experience concerning rare forms of arthritis. Where this is not yet the case, there will soon be consensus on the care path for patients with those rare forms of arthritis covered by ARCH. When a rare form of arthritis is suspected, the attending specialist and expert can immediately collaborate on the diagnosis and discuss the best course of treatment with the patient. 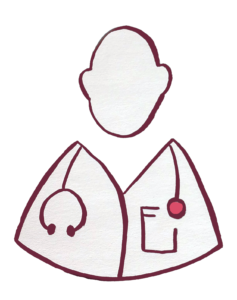 ARCH facilitates the exchange of information between patients and healthcare professionals. ARCH provides insights into the patient population, different treatments and the results of treatment in regional and national medical centres that can then lead to better care. Thanks to the information ARCH gets from patients, better research can be carried out into improving diagnosis and treatment. You can find questions and answers on being part of the ARCH platform here. Read about the latest ARCH developments in our newsletter, published 3 times a year. You can sign up here for the newsletter.